Before you scroll down and start the 50 Level 2 Principle of Exercise mock questions, PRESS PLAY on the video below where Hayley introduces the mock questions and teaches you how to get the most out of them. Make sure to save this web page and mark the Parallel Coaching emails as safe in your inbox. Then you can be sure you wont miss a thing when it comes to revising and getting everything out of the Revision Resources we send you over the next few days. 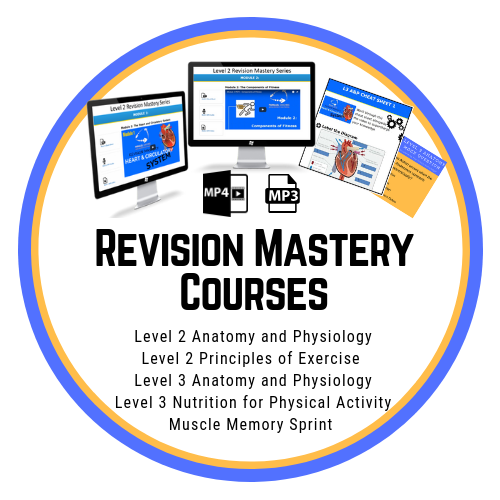 Supercharge your knowledge and 10x your confidence with our level 2 revision mastery course. 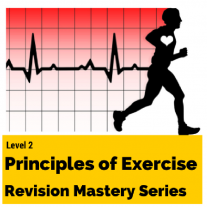 This short online course works alongside your L2 Principles of Exercise course manual and is mapped to your final exam. Structure your learning and organise your revision to break down complex topics so you're 100% fully prepared for exam day! The following 50 L2 Principles Of Exercise mock questions are mapped to Active IQ, CYQ, YMCA and VTCT. It's likely you'll have 32 Multiple Choice questions in 60 minutes for your real exam, it's best to check this with your training provider as some do vary. 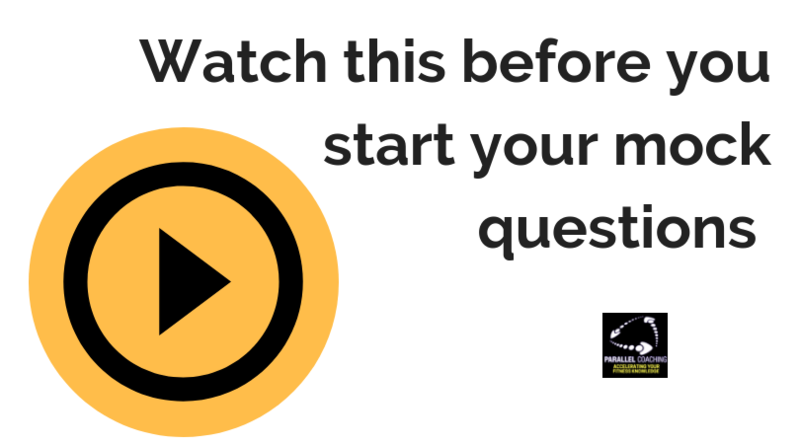 Regardless of how many questions you have, it will include 3-6 questions on each of the following 7 modules. The questions will appear in a random order in your exam. The following 50 mock questions are also in a random order to represent the final exam as well. After every 10th question you can check your answers so you can track your progress as you go. 1. When is Blood Pooling most likely? 2. According to the eat-well guide, what is one piece of healthy eating advice that underpins a healthy diet? 3. What training, if performed long-term, causes increased size and number of mitochondria? 4. Which programme variable is regressed when a session is performed with fewer sets per exercise than planned? 5. What characteristics do mesomorphic body types tend to have? 6. When working with older adults, which guideline would be most appropriate? 7. What factor determines the amount of water needed for adequate hydration during exercise? 8. What may be an indicator that training should be regressed? 9. What will cessation of training cause? 10. Which factor increases the potential for men to gain greater muscle mass? 11. Which of the following is a health-related component of fitness? 12. What is the recommended minimum number of fruit and vegetable portions to eat per day? 13. What will, strengthening the gluteus maximus and stretching the hip flexors and lower back, help to improve? 14. What would be the recommendation for flexibility training for young people? 15. Which of the following is not a variable within the FITT Principle? 16. Which of the following are not a factor that influences health and fitness potential? 17. How many days per week is it recommended to exercise to improve muscular strength and endurance? 18. Which of the following is a short term musculoskeletal adaptation to exercise? 19. A long term effect of Aerobic- Endurance training would be? 20. The recommended target heart rate (THR) intensity when training for maximum improved performance is from 80% of maximum heart rate (MHR) to? This one time offer gets you unlimited and lifetime access to the L2 Principles Revision Mastery Bootcamps. 21. What does the Borg rating of perceived exertion (RPE) scale measure? 23. What does ADL stand for? 25. Which core training exercise would be most appropriate to use immediately post-birth? 26. Spasticity of muscles is most likely to feature with which condition? 27. What blood pressure would be classed as contraindicated for exercise? 28. What may be of increased risk with poor nutrition? 29. Which of the following is the primary role of carbohydrates? 30. According to the Energy Balance equation, what must happen for a client to reduce body weight? 31. A respiratory adaptation to aerobic endurance training is? 32. A long term effect of cardiovascular training would be? 33. Venous return is assisted by? 34. Weight-bearing exercise is essential to reduce the risk of? 35. Delayed onset muscle soreness is typically experienced at what time frame after exercise? 36. Stretching the upper trapezius and strengthening the rhomboids will help to improve? 37. Having full potential range of motion around a joint defines which component of health-related fitness? 38. Power is a combination of strength and which other skill-related component of fitness? 39. Ectomorphs are well suited to which type of physical activity? 40. The phrase ‘use it or lose it’ would describe which training principle? This one time offer gets you unlimited and lifetime access to the L2 Principles Revision Mastery Bootcamp. 41. Specificity of training refers primarily to the? 42. The recommended target heart rate (THR) intensity when training for general cardiovascular fitness is from 60% of maximum heart rate (MHR) to? 43. An indicator that training may need to be regressed would be? 44. Which of the following exercises would be most appropriate for pre-natal clients in the second trimester? 45. The anaerobic capacity for boys and girls is not fully developed until the age of? 46. Multiple Sclerosis is classified as what sort of physical disability? 47. The greatest advantage of using the talk test to monitor intensity would be that it? 48. What is a dietary source of carbohydrate? 49. The Eat-well plate guidance recommends that salt intake should be limited to how many grams a day? 50. Which of the following is the primary role of protein?